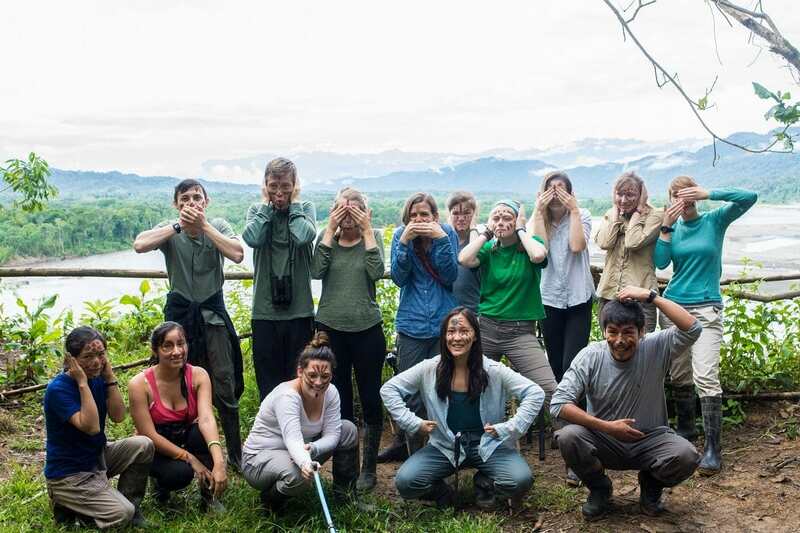 Many conservationists have nature documentaries to thank for their interest in the natural world, and this is certainly true for 6-week volunteer, Amelia. Whilst at the Manu Learning Center (MLC) she has turned her passion for monkeys into knowledge that would serve her well in a specialist round of Mastermind. This jungle story starts rather differently to most. Approximately 5:30pm, Tuesday night, mid-December 2016. My mum and I are sat on the sofa watching telly. ‘Monkey Life’ comes on – rescued monkeys unable to be returned to the wild are living together at a sanctuary in Dorset, England. Cue my monkey mania – think adoption, obsession and general addiction to all things ‘monkey’. Cue my monkey mania – think adoption, obsession and general addiction to all things ‘monkey’. Day 1: Arrive at Manu Learning Centre, Manu, Peru, Western Amazon. Day 2: Spot titi monkeys, wooly monkeys, spider monkeys and brown capuchins. Day 9: See squirrel monkeys cross the trail. Day 16: Saddle back tamarinds climb past whilst we’re snacking in the jungle. 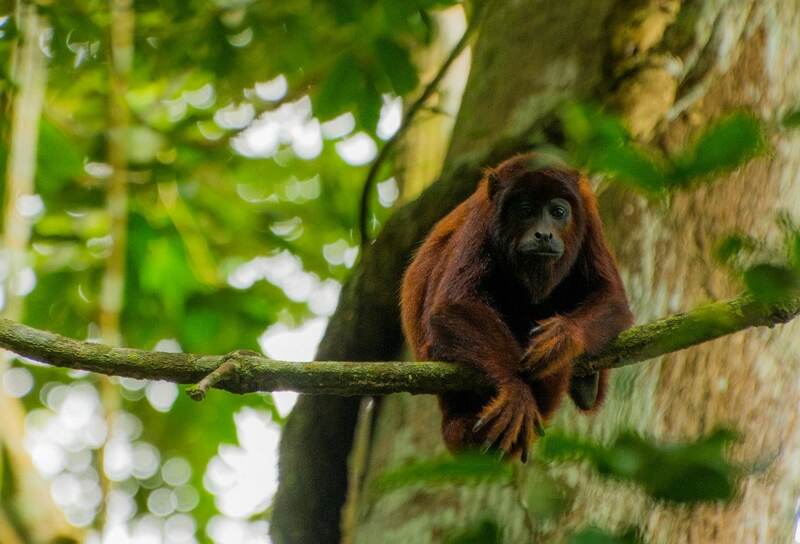 Still to be seen: Howler monkeys and night monkeys. Time left in jungle: 3 weeks. Chances of seeing all monkeys on my list: looking pretty good. But if you’re wondering why would I travel halfway around the world for some monkeys then grab a mug, lean a little closer and prepare to become a monkvert (a monkey convert) with some facts about our primate cousins living in the MLC jungle. 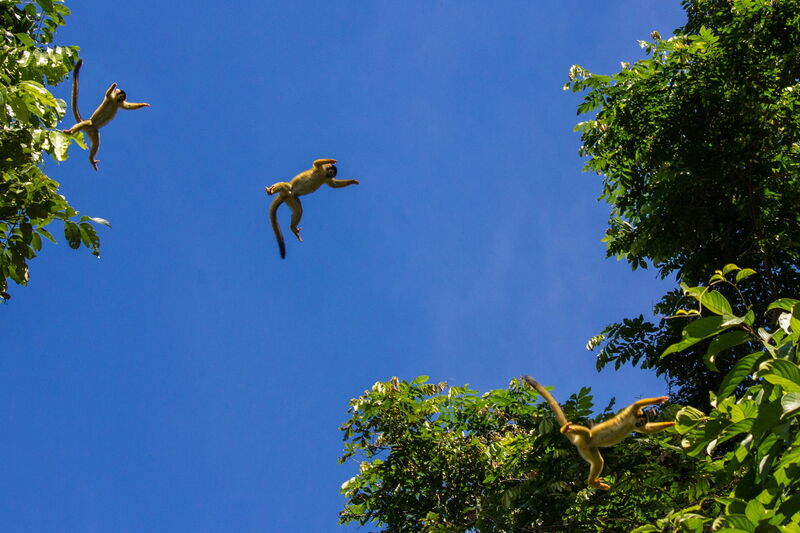 Fun fact: These squirrel monkeys are known to spread urine on their hands and feet, marking the trail through the tree tops for other monkeys in their group to follow. Fun fact: Night monkeys are monogamous with many of them having the same partner for their whole lives. This species are understudied and still rather mysterious. 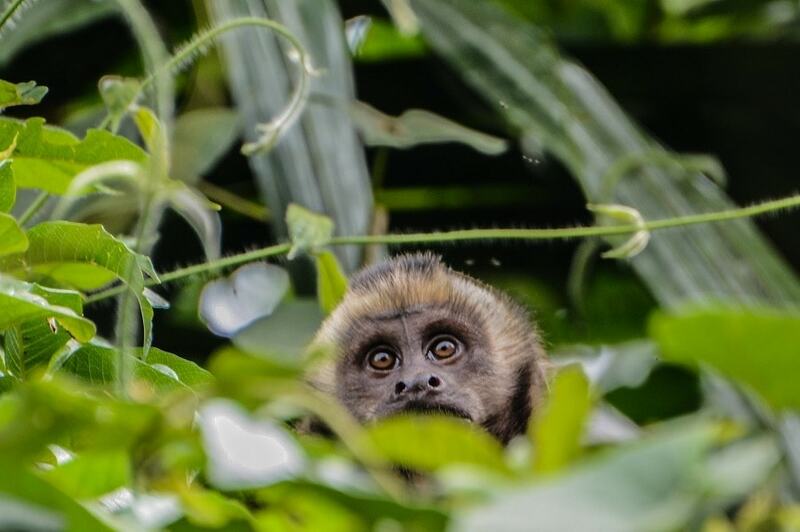 However, you can read about what it takes to study night monkeys in a recent article by recent volunteer and School for Field Studies member, Sheridan. So now you are a monkvert, go and see them in the wild too, protect them and their habitats and impress your mates on your next road trip with all your fun facts about monkeys. Alternatively, come on over to South America and become a jungle girl too.